5th grade students in Ms. Jodi McKeever's art classes spent time on Washington Road sketching Mt. Lebanon store fronts. 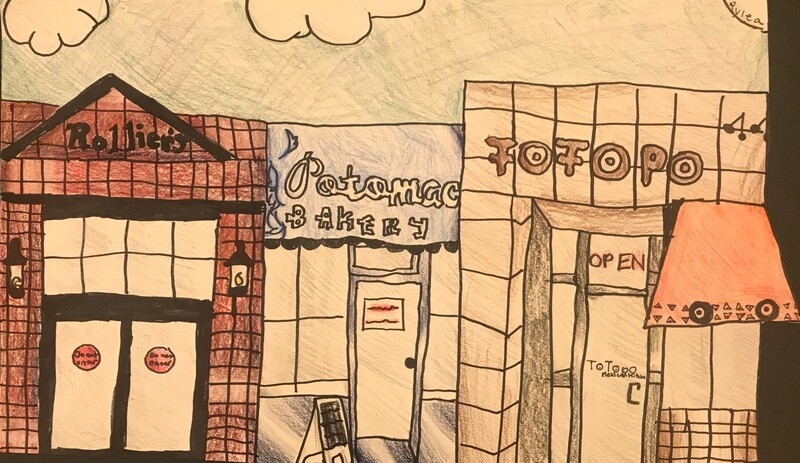 Titled "Uptown Drawings," the pencil drawings depict the different architectural styles and signage in detailed renderings of businesses in the Washington Road business district. Hand drawn architectural renderings are becoming a lost art giving way to the innovations of technology, but our students' art work reveal the richness and beauty of the artist's perspective.